To change the color of a category click the folder icon. To change the color of a category click the flag icon. 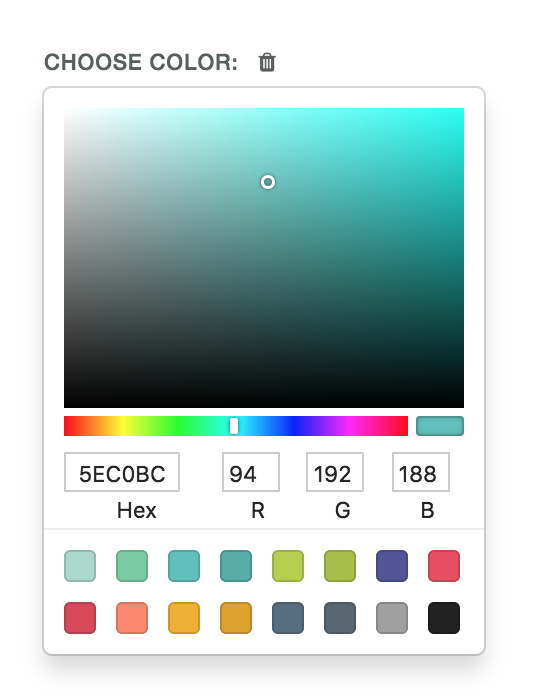 Then pick any color and exit the color picker by clicking outside of it. The color you last picked will be automatically saved. You can change the color of a category anytime. Use your favorite color palette in the settings to get a nice coherent color scheme going.